By day she is just a regular Graphic Designer. Though, by night, donning elaborate costumes and vibrant wigs, she prowls the evening streets, seeking to destroy evil and keep her city safe. Or... I just like to cosplay - I am Foayasha. Hey everyone! I just got back from Oni-con just a few hours ago. I k now I sorely need to update the page with my new cosplays, but I really need to finish my current project! I've added the PDF from my Armor making panel to my Tutorials page, and after Blizzcon I will be updating it with even more helpful info. For the time being I've added links to the credits at the end. 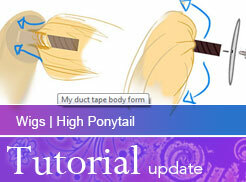 I've got a lot of info on the tutorials page to begin with though. So I hope that helps! Ok... off to sand more stuff. 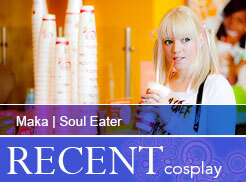 Finally I've updated my site a bit with some new stuff: tutorials, cosplay, events and media. Just all sorts of stuff... I would list them all out here, but of course, it woudl just be easier if you went and checked it out! Wow I finally got a chance to update my site! So much has happened the past month that I was way to busy to get any real updates posted. Things that have changed on the site include: New Commissions added, Celty and Princess Celestia pages updated, and a few tidbits around the site have been changed. Notice the homepage slideshow has a new slide! My secret cosplay I'll be working on for the next few months. So exciting! I'll be updating again soon to include more Princess Celestia, More Celty and a new quick cosplay: Batgirl! Enjoy!!! !